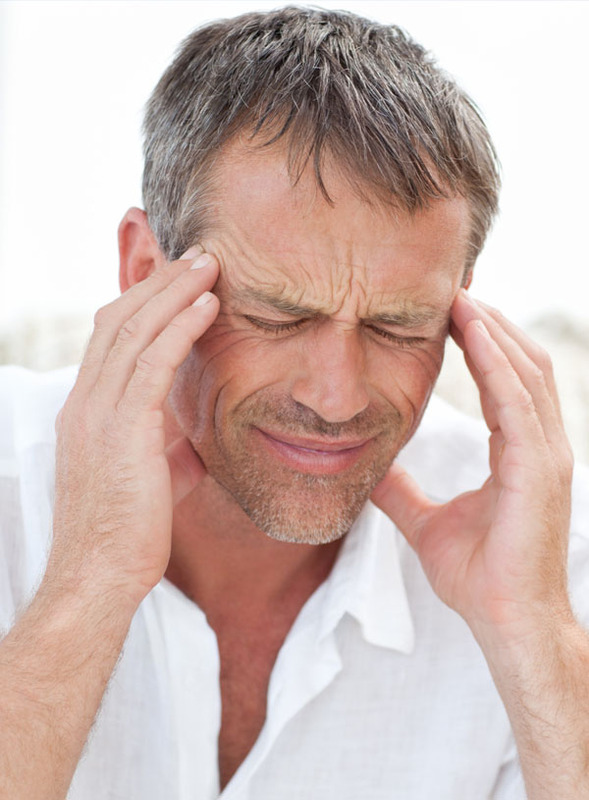 Most Americans have suffered from occasional or frequent headaches at some point in their life. Whether you suffer from tension headaches, migraine headaches, cluster headaches, stress headaches, anxiety related headaches, neck pain related headaches, or cervico-genetic headaches—we can help you find relief! A common cause of headaches is from spinal bones in the neck that aren’t supporting the head properly. Many times even though your headache can be caused by your neck problem, you may not notice neck pain. You might not notice your reduced ability to turn your head, but these subluxations affect nerves, muscles and even the blood supply to your head. Subluxations can often be the result of stress and bad posture which is why so many Americans who work at a desk all day report suffering from them. A subluxation is when one or more of the spinal bones is misaligned into an abnormal position causing the nerves to be irritated. This can cause the brain to be irritated and hurt. Dr. Ludwig can help by performing spinal adjustments that remove any subluxations and stress on the spine.